Coming under the Archbishops Jurisdiction, St.Mary’s Basilica is the oldest church of Bangalore. 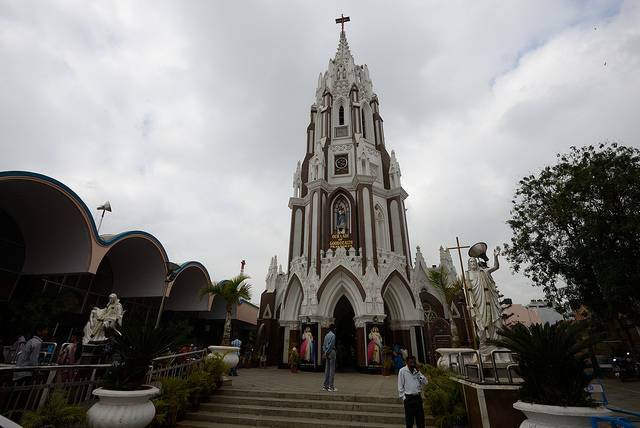 St.Mary’s Basilica is the only church in Bangalore which was tagged with the “Minor Basilica” status. Constructed in gothic architectural style, the church as many interesting and enthralling building features. Golden colored floral motifs, crafted on the neck of huge pillars entice the viewers. Sunrays filtered through color stained ceiling glasses give a magnificent glow to the huge prayer hall.